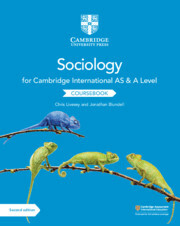 From social control and crime, to equality, religion and global development, our sociology resources cater to immediate studying needs, helping students prepare for their Cambridge IGCSE, AS and A level qualifications. 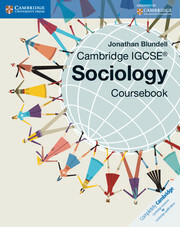 Our collection of sociology books, guides and digital media tools encourage students with their learning, inspiring them to tackle areas of social science that they may struggle with, and applying their skills to future career opportunities. We help students recognise the benefits of studying sociology and how this can be taken further, to higher education and beyond. Students may have different reasons for studying sociology. Whatever they may be, students can immerse themselves in theories behind social identity, education and media analysis, social inequality and family relationships. Explore methods of research and sociological perspectives while preparing for exams with real-life scenarios. By developing their knowledge with our sociology resources, students can choose study methods they prefer, and work towards their sociology careers in a way that works for them. 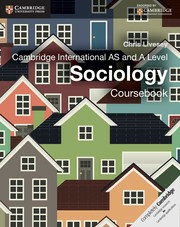 Need help choosing the best sociology books for your students? Contact your local sales representative for more information.